The Glen of Imaal Terrier, also known as the Irish Glen of Imaal Terrier, the Glen of Imaal and simply the Glen, is a game, resilient terrier with a big dog attitude and very short legs. They are outstanding earthdogs and loyal companions, as long as their owners understand the terrier temperament and the rigors of maintaining its coat. 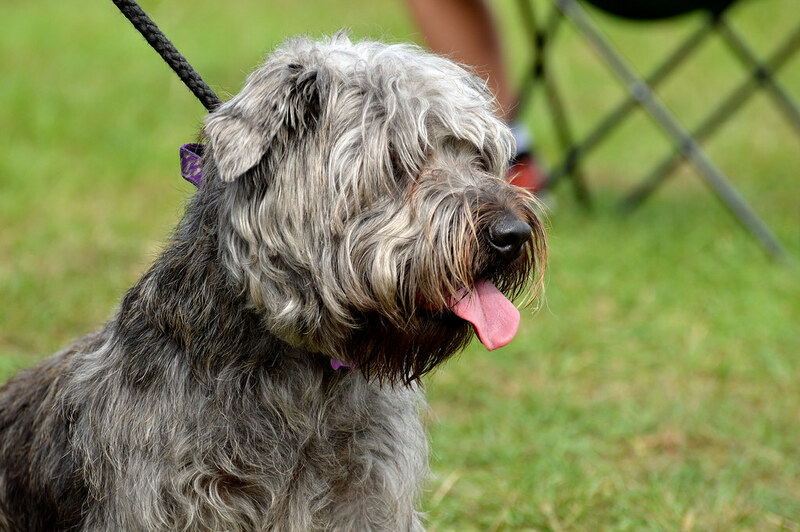 The Glen of Imaal Terrier was accepted into the American Kennel Club’s Miscellaneous Class in 2001. It achieved full AKC recognition as part of the Terrier Group in 2004. The average Glen of Imaal Terrier stands 12½ to a maximum of 14 inches at the withers and normally weighs approximately 35 pounds. Distinctive in appearance, the breed combines the low to the ground, short-limbed stature of popular French breeds such as the Basset Fauve De Bretagne, and the rough-haired, wheaten-coloured semblance of the Terrier. 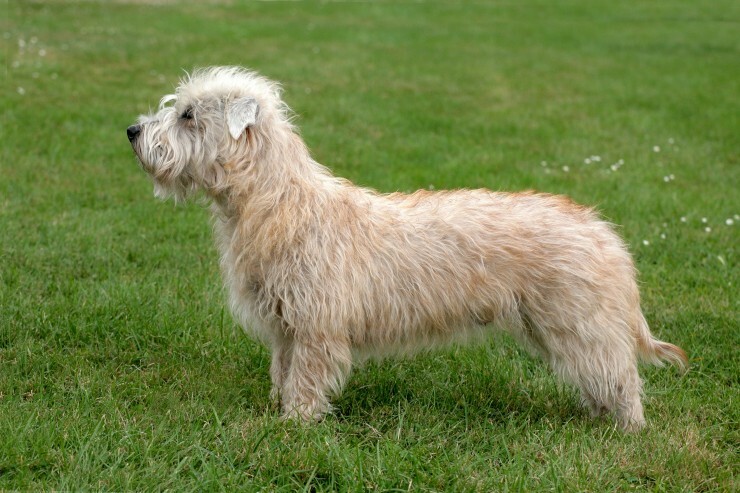 The Glen of Imaal is further characterised by a tapering muzzle, bowed legs, wide-set ears and a harsh coat in colour variations of cream, wheaten, blue, brindle or tan. Fiercely devoted to its family, the breed is mellow and mannered within the home, although it has been said that the Glen of Imaal takes longer to mature than other dogs. This might be translated through boisterousness, disobedience or stubbornness, so consistent training from an early age is essential. History and Health of the Glen of Imaal Terrier Dog Breed: The breed occurred when Queen Elizabeth’s soldiers moved into the Glen of Imaal in order to bring down a rebellion. The Glen of Imaal Terrier Dog Breed has a personality and temperament that is energetic and brave. Unlike many terriers the Glen of Imaal Terrier does not bark unnecessarily, and it is usually calm within the home.